IRVING, Texas — America’s first Islamic tribunal based on Sharia law is being operated in North Texas, according to reports. 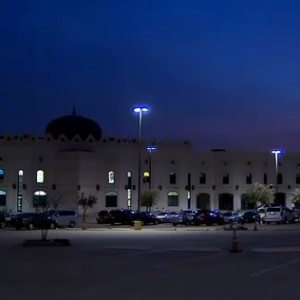 The court, located in Irving, has availed itself to the community to arbitrate disputes between Muslims, such as divorce proceedings, business conflicts and other civil matters. “All our decisions point back to the Koran and Sunna … and what the prophet Mohammed left to us,” Dr. Taher el-Badawi, Islamic Tribunal judge, told KEYE TV. But the three men who operate the court state that they do not seek to override the existing courts or the U.S. Constitution. The Islamic judges state that their rulings are non-binding, and that they simply “give [people] the Islamic point of view—that’s about it—and it’s up to them to follow or not to follow.” Criminal cases are not among the issues handled. Bakhach stated that he believes there are misunderstandings about Sharia law. “Maybe in their mind, the misconception about what they see through the media is that Sharia means cut the head, chop the heads, cut the hands, and we are not in that,” he told CBS Dallas/Fort Worth. But some state that Sharia law does indeed require stoning and maiming persons under criminal law—it’s just that the Irving location is not taking cases of that nature. “There is no school of Islamic jurisprudence among either Sunnis or Shiites that does not mandate stoning for adultery, amputation of the hand for theft and the subjugation of women,” wrote Robert Spence of Jihad Watch in a 2012 blog post. “Stoning adulterers is in accord with the words and example of Muhammad, whom the Quran holds up as the supreme example of conduct for believers (33:21); amputation of the hand for theft is mandated in the Quran itself (5:38); and the oppression of women in numerous ways is amply attested by the words of both the Quran and the prophet of Islam,” he continued. Some are also questioning where the existence of Islamic tribunals on U.S. soil might lead. “[W]hat happens when U.S. law conflicts with their religious beliefs? Is allowing Islamic tribunals to operate in this country essentially opening the door for Islamic law to undermine or even replace U.S. law?” asked Monica Sanchez of MRCTV. “I think what we will see is a coercion of Muslims to participate in this program,” opined Dr. Frank Gaffney of the Center for Security Policy. Several states have introduced legislation that prohibits foreign law from being used in the courts.